Author Visit: Des Hunt at Central Library. Attention all literary fans! Come on down to the Central Library and learn how to create amazing stories with a master storyteller! Join 2017 Margaret Mahy Medal and Lecture Award winner Des Hunt for a writing workshop like no other. This event is part of Beyond the Page, a literary festival for children and youth on from 8-23 July, for more information, check out the website. Where: Wellington Central Library, Young Adults area. When: Tuesday 11th July, 1pm to 2pm. Age Group: This workshop is aimed at ages 9-12 and spaces are limited. Make sure you register to secure a spot. About Des Hunt: Des Hunt was a science and technology teacher for many years, interspersed with periods of curriculum development both in New Zealand and overseas. During this time he had several textbooks published to support the New Zealand curriculum. Over the last twenty years he has experimented with other ways of interesting youngsters in science, creating computer games and writing non-fiction and fiction with scientific themes. After living in Auckland for much of his life he moved with his wife, Lynne, to Matarangi on New Zealand’s Coromandel Peninsula. He retired from the classroom in 2007 to concentrate on writing fiction for children. He continues his aims of fostering young peoples’ natural interest in the science of their surroundings by visiting schools and libraries where he runs workshops and presentations. Five Des Hunt books have been finalists at the Children’s Book Awards. Cry of the Taniwha was awarded the 2016 Storylines Gaelyn Gordon Award for a Much-loved Book. Then, in 2017, Des was the recipient of the Storylines Margaret Mahy Medal and Lecture Award for lifetime achievement and a distinguished contribution to New Zealand children’s literature and literacy. While You’re at it, check out some of Des Hunt’s books that you can find at your local library. “It’s the school holidays and Zac thinks he might go crazy with boredom. He’s living in exile with his disgraced father on the remote Terawhiti Station on Wellington’s wild south-west coast. Zac and his father witness a shipwreck off the coast. Investigating further, he finds a set of unusual paw prints on the beach. Whose yacht it is? And what animal could have made the paw prints? Soon Zac is drawn into a mystery which threatens his life and those around him. He must protect the secret of the Phantom of Terawhiti from those intent on hunting it – and him – down”–Publisher information. Twelve-year-old Tony has travelled all around New Zealand with his nomadic mother, and desperately wants somewhere to belong. When they arrive in Charleston, a gold-mining ghost town, he is almost afraid to hope this might finally be the place. But things aren’t as they seem, and he finds himself caught up in mysterious events. Twelve-year-old Ben is a keen ornithologist who looks after endangered birds on his family farm in the Coromandel Peninsula. But Ben must grow up fast in the face of threats to his home, his family and his beloved birds. Jake lives with his father in a remote part of the Wairarapa, where he can surf and watch the whales. But then Jake’s dad begins a relationship with a new partner, who moves in with her daughter Stephanie, and at the same time a local photographer starts stalking their next door neighbour Milton Summer, an international rock celebrity, and Jake’s peaceful life erupts into violence and deceit. An when a whale and her calf get into trouble on the treacherous coast, the history of Whale Pot Bay seems doomed to repeat itself unless Jake, Milton and Stephanie can survive the deadly tide. Matt Logan isn’t looking forward to spending the school holidays in Rotorua with his grandmother and her new husband. Matt has taken his metal detector along, and when he and Juzza – the boy next door – unearth a handcuffed skeleton, a dangerous chain of events begins to coil around them. Beauty and the Beast overload in the library! This is a blog post that pays tribute to popular fairy tale, Beauty and The Beast. Beauty and the Beast is a traditional fairy tale written by French novelist Gabrielle-Suzanne Barbot de Villeneuve and published in 1740 in La Jeune Américaine et les contes marins (The Young American and Marine Tales). The story that a young woman named Beauty, who offers herself in exchange for her father, who has been imprisoned by the Beast, after stealing a rose from the beast’s garden, which was intended for Beauty as a gift. She discovers that her captor is an enchanted prince in disguise, who must find true love, despite his ugliness, to revert back to his former self. The question is can Beauty look beyond the beast’s ugly exterior and find true beauty within his heart? Beauty and the Beast, illustrated by Dan Taylor. Beauty and the Beast is a perfect introduction to this classic fairytale. Push, pull, and turn mechanisms bring the story to life and introduce all the main characters: Beauty, her father, and of course the Beast! This well-loved fairytale is beautifully imagined for a new generation by children’s illustrator Dan Taylor. Beauty and the beast / retold by Michael Morpurgo ; illustrated by Loretta Schauer. A captivating retelling of the nation’s favourite fairy tale, from the nation’s favourite storyteller, Michael Morpurgo. After encountering a fearsome beast at a mysterious palace, down-on-his-luck merchant Marco is forced to make a promise in exchange for his life: he must persuade one of his three daughters to return to the palace in his place – but she must come of her own free will. Beautiful, kind-hearted Belle agrees at once to return to the palace, and there she and the Beast exist companionably, with the Beast asking of Belle the same question at the end of each day: “Dearest Belle, will you marry me?” After a return home to consult with her father, Belle resolves to follow her heart and return to the Beast, but her plans are thwarted by the trickery of her jealous sisters. When, at last, Belle is able to find her way back to the palace, she finds her beloved Beast lying as still as death on the ground. As Belle’s tears fall on his face, the Beast is transformed into a handsome prince the ancient spell upon him broken by Belle’s tears of true love. Beauty and the Beast / by Melissa Lagonegro ; illustrated by the Disney Storybook Art Team. Belle is trapped in a castle, under a terrible curse. Can she break the spell? Beauty and the beast / [retold by] Berlie Doherty ; illustrated by Jane Ray. Beauty and the beast / Ursula Jones ; Sarah Gibb. Beauty and the beast retold by Max Eilenberg ; illustrated by Angela Barrett. Beauty and the beast by Geraldine McCaughrean ; illustrated by Gary Blythe. The Fairytale Hairdresser and Beauty and the Beast by Abie Longstaff & Lauren Beard. The beast within : a tale of beauty‘s prince by Serena Valentino. Presents an adaptation of the classic Beauty and the Beast fairy tale from the perspective of the cursed prince who is transformed from a beloved and jovial ruler into a reclusive and bitter monster in search of true love. Love to watch stories? 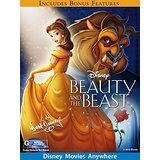 Now we have Walt Disney’s Animated classic of Beauty and the Beast available on DVD at your local library! Walt Disney’s Beauty and the Beast. A Walt Disney movie about a tough no nonsense heroine, named Belle (French word for Beauty), who offers herself in exchange for her father, who has been imprisoned by the Beast, and discovers that her captor is an enchanted prince in disguise. While the situation is anything than ideal, this Beauty and the Beast must learn, in a very Pride and Prejudice-like way to overcome their pride and stubbornness, in the hopes of falling in love and breaking the beast’s enchantment. This film is beautifully constructed and made! Filled with lots of quirky characters, in the form of Lumiere (a candle stick), Cogsworth (a cynical clock), Mrs Potts (a mother-hen teapot) and many musical numbers. A film that the entire family can enjoy – especially on a Saturday night! 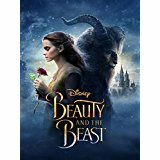 Movie Review: Beauty and the Beast. Belle (Emma Watson), a bright, beautiful and independent young woman, is taken prisoner by a beast (Dan Stevens) in his castle. Despite her fears, she befriends the castle’s enchanted staff and learns to look beyond the beast’s hideous exterior, recognising the kind heart and soul of the true prince that hides on the inside. This film is beautifully constructed and made! Overall it was an interesting revamp of the original animated 1992 classic. Filled with the same musical numbers and dance sequences, there a few twists, turns and few surprises during the film. Sorry, no spoilers in this review. The ballroom scene where Belle and the beast are dancing is fantastic. Belle’s dress and the dance moves – WOW, could possibly put the previous Disney Princess, Cinderella to shame! All the characters had a part to play, had more depth, personality and beautifully showcased their uniqueness on screen. Even actor, Luke Evans did a very good job at playing arrogant, vain and sadistic baddie, Gaston, who foolishly hopes to win Belle’s hand, who in turn politely, but firmly rejects him! He didn’t have a bad singing voice either. The characters: Lumiere, Cogsworth and Mrs Potts were wonderful and entertaining. I particularly loved Lumiere’s number “Be Our Guest”, beautifully sung by Ewen McGregor. Dan Stevens is phenomenal (and perhaps a tad bad tempered) as the beast. I always cracked up over his dry sense of humour. Overall he did the character of the beast justice to its original predecessor. I found there was more depth to the characters: Belle and the beast, and perhaps more of a back story as to how their background, experiences and personalities shaped the people that they came to be. I think in a sense these two are portrayed as mirror images of each other and have great, not to mention a unique chemistry. I think Emma Watson plays Belle as more lady-like in this film. Not as openly stubborn and strong willed as the original Belle, but more quietly assertive and determined. Not to mention she is very polite in standing up to the beast and Gaston. As always, the story encourages viewers to look beyond the superficial and to be compassionate, curious, humble, and generous. This movie is a must see and has been worth the long wait. A film that the entire family can enjoy on a night out on the town– especially on a Saturday night! 9/10 all the way! Also check out the trailer and some musical numbers from the film. Stuck for new book ideas? Try one of these New Zealand Book Awards winners! Head into your nearest library to find a copy, or reserve one online!